Jurgen Klopp has said that he is hoping to emulate Barcelona in the long term and one day seek to avoid over-squad rotation with Liverpool. Asked about his plans for the Reds’ upcoming Europa League game against Augsburg, the coach has insisted that, if preparations are right, a side can play their star men all of the time. The German manager also alluded to the ever-present Cristiano Ronaldo and suggested that, in an ideal world, he would use his big-name players as much as possible, and is not ruling out this possibility. “If you have a pre-season and no injuries then you can play a lot of times with a similar if not the same team. 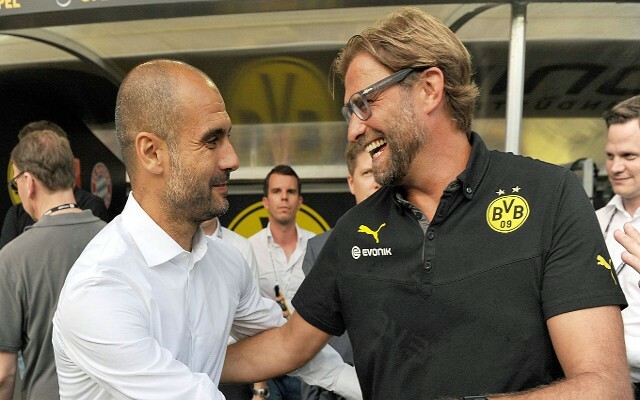 This is possible,” the German coach began, speaking in his pre-match press conference [quotes as per the Mirror]. “The biggest teams in the world are doing this. I don’t want to compare ourselves with Barcelona but three of these players play all of the time. “I cannot think of a game when Cristiano Ronaldo has not played in the last six or seven years either,” he continued, referring to the Real Madrid forward who rarely sits out a fixture for Los Merengues. “It is all about being fit and being in the rhythm. It’s not that easy to say today, ‘Okay, for this tournament we take out best players'” he continued. Klopp cannot afford to take the Europa League lightly. With Liverpool nine points off the Champions League places in the league, and struggling to demonstrate the required consistency to suggest that they will be displace any of the current top four, Europe’s secondary club competition arguably represents their best chance of securing an unlikely spot in next year’s UCL. However, the German coach cannot purely concentrate on advancing to the Champions League, and, with a Capital One Cup final against Manchester City looming, Klopp will surely be aware of the value of bringing some silverware to Anfield early in his reign.